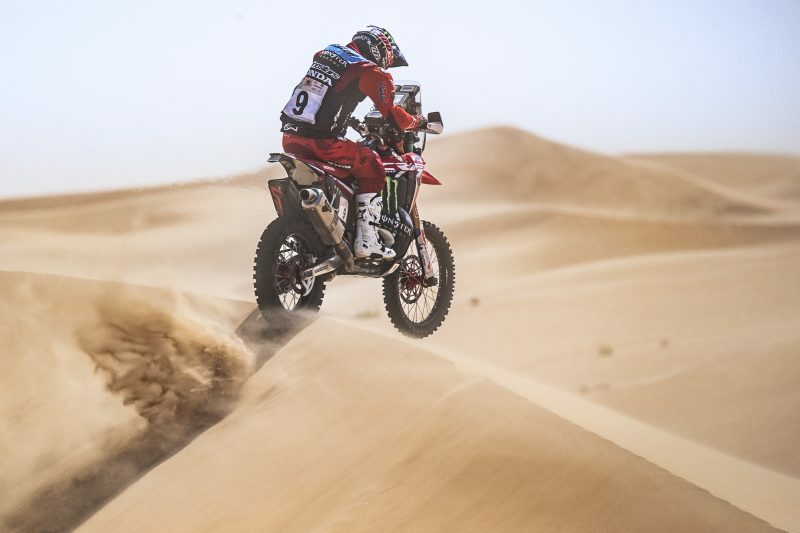 Good positions for Nacho Cornejo in third, and Kevin Benavides, fifth, at the end of the first day of the Abu Dhabi Desert Challenge. 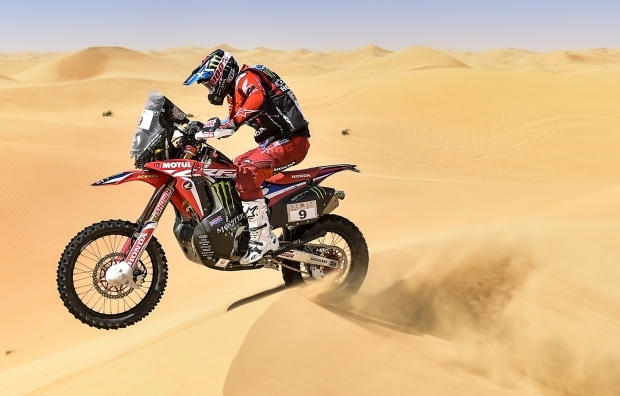 Joan Barreda will set off from behind tomorrow after suffering a mechanical setback today. 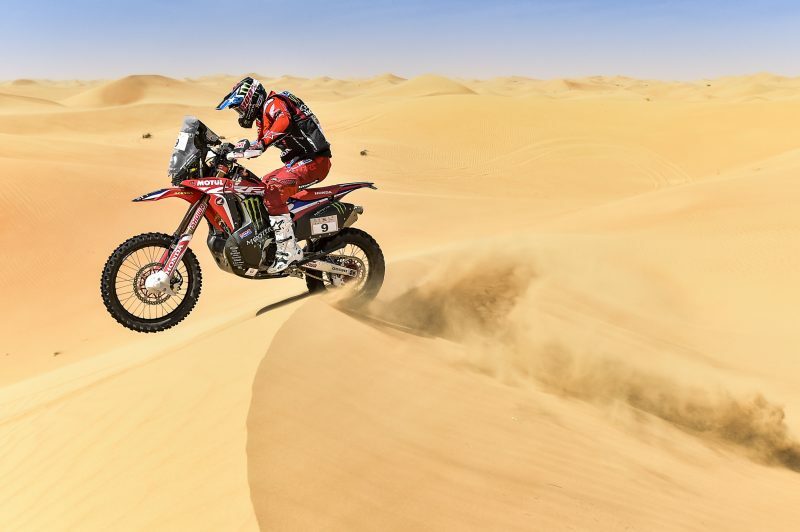 Prudence prevails on returning, two months after finish the Dakar Rally, to a competition as tough as the Abu Dhabi Desert Challenge with its treacherous cut dunes capable of ruining a rally on day one. 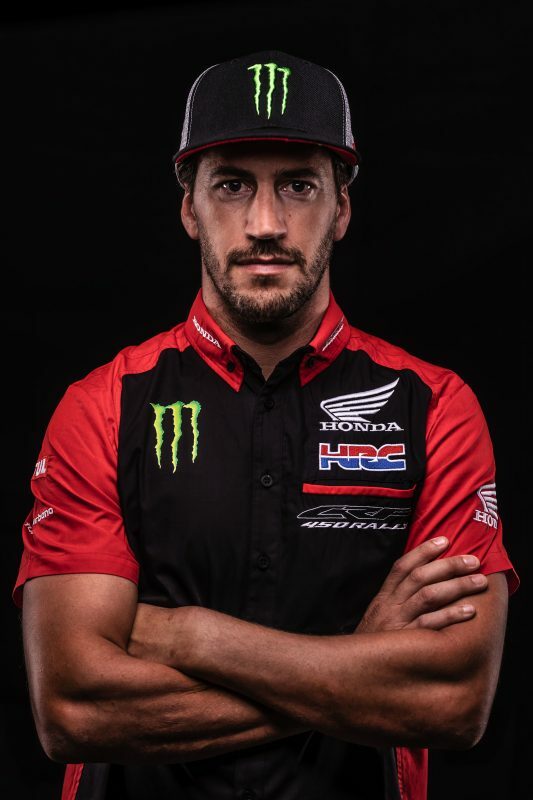 Nevertheless, today Chilean rider Nacho Cornejo finished top of the Monster Energy Honda Team riders, posting third position on the day. It was a scorching day, but also one with plenty of wind, on a route which ended in midst of the Liwa desert. The first day of the Abu Dhabi Desert Challenge featured 262 kilometres of special stage out of a 329-kilometre total. 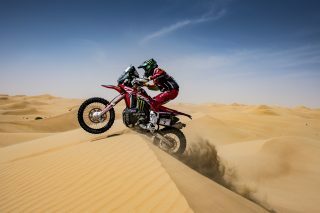 As usual the first round of the FIM Cross-Country Rallies World Championship served up a fair dosage of navigation and dunes as competitors left the Yas Marina circuit behind to enter into the ante-chamber of the desert – a sea of dunes which dominates the Liwa region in the south of the country. 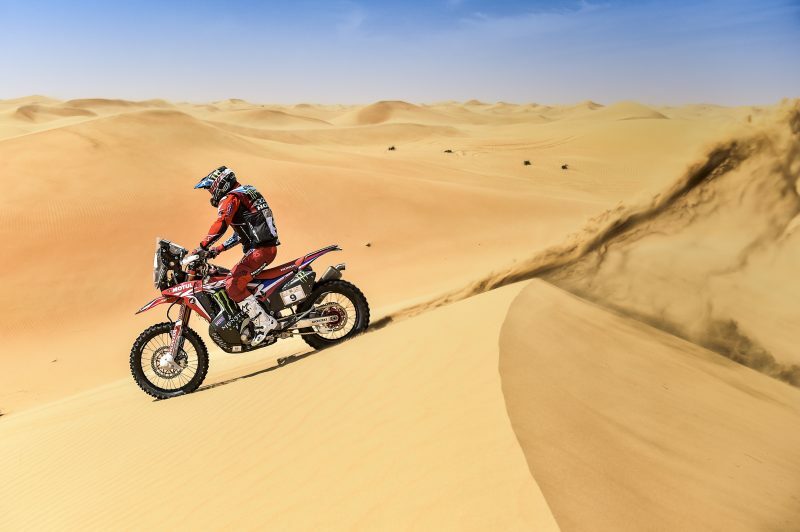 José Ignacio Cornejo set off at a cracking pace over the early stretches of the race and made it safely back to the bivouac in Qsar Al Sarab, on an error-free ride, to finish on the day’s podium, 6’46” adrift of the stage winner. 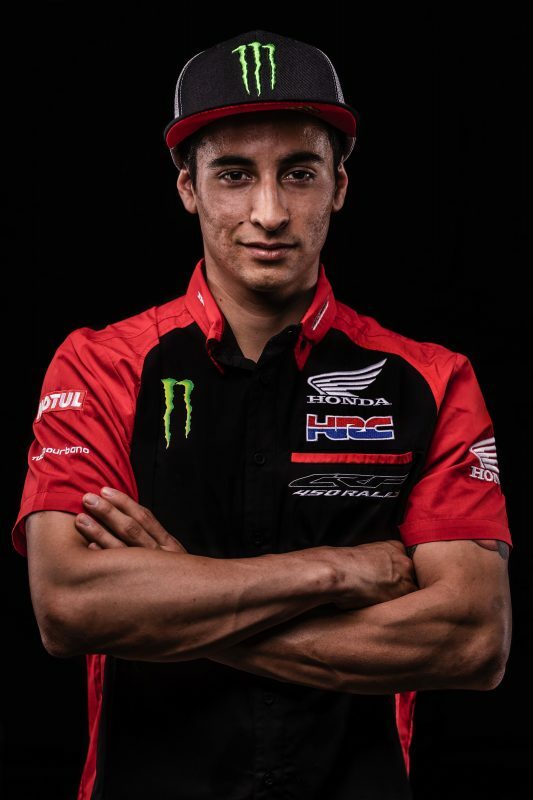 Argentine team-mate Kevin Benavides, went in pursuit of the riders who preceded him, but after getting bogged down in a dune, lost the trail that would have allowed him to reach his rivals and would have permitted easier progress without such a physical drain. Benavides ended in fifth place on the day. 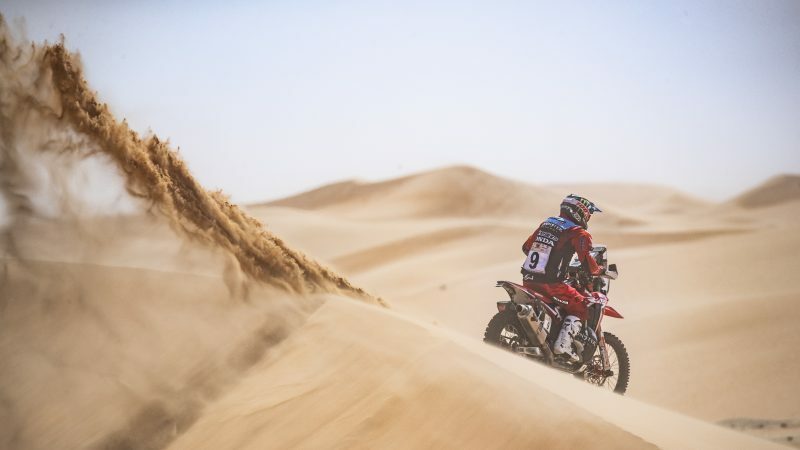 The third rider on the team, Spaniard Joan Barreda suffered a mechanical setback at kilometre 16 of the special whilst opening the track. Barreda, the third competitor to start the special, was unable to repair the bike on the course in the intense heat and wind and was forced to retire from the stage. 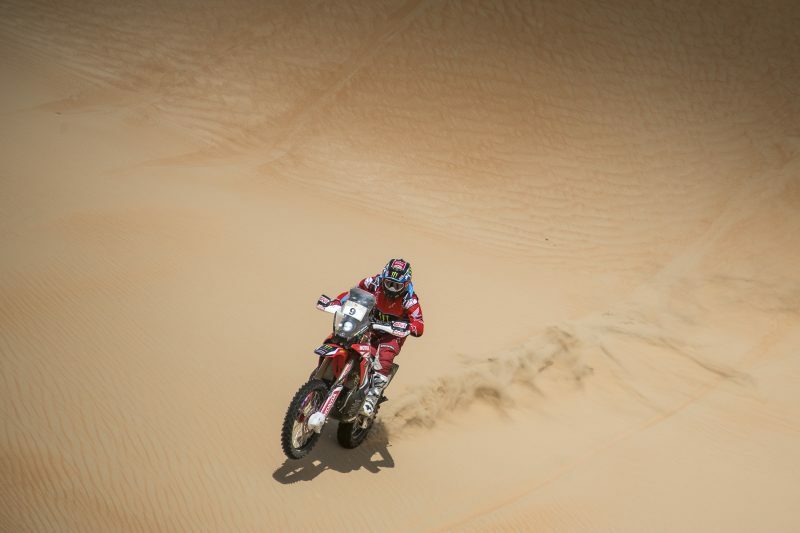 However, Joan remains confident that he will be able to repair and restart in tomorrow’s stage. 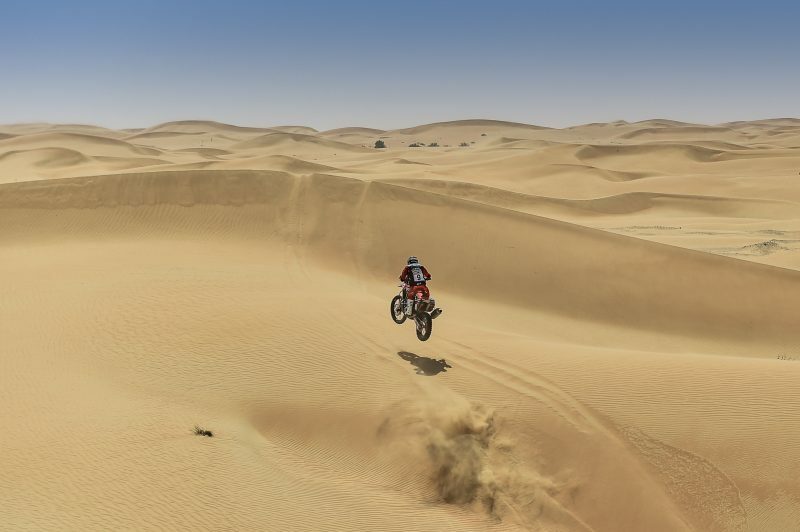 The second stage will likewise play out in the Liwa region, with a total of 370 kilometres, of which 222 km are against the clock. This was the first contact with the desert of truth. 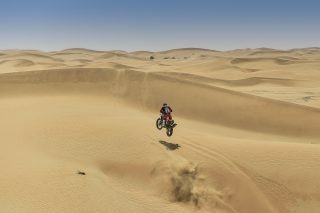 As soon as I started I got stuck in a dune and had to make a huge effort to get out. Then I adapted to the race but with some pain in the shoulder. 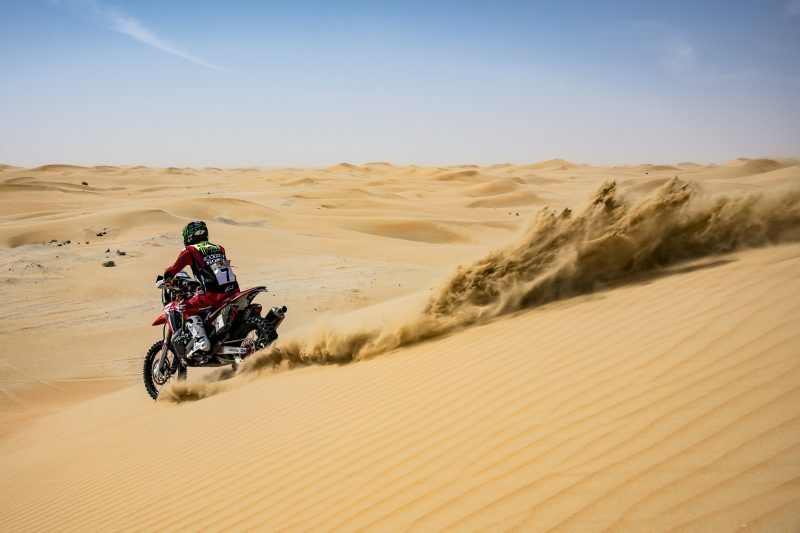 The desert was complicated with wind and soft dunes. I took things as easily and calmly as I could, looking for a reasonable pace that would allow me to finish. I am not at 100%, but about 50%, but I will try to give 100% of that 50. We will try to take things one step at a time because there are still many days left to run. I'm fine, although a bit upset because I think that, without having pushed hard, I had a good pace. I had overtaken two riders and was opening the track, when at kilometre 16 I was unable to continue. I tried hard but it was just impossible. 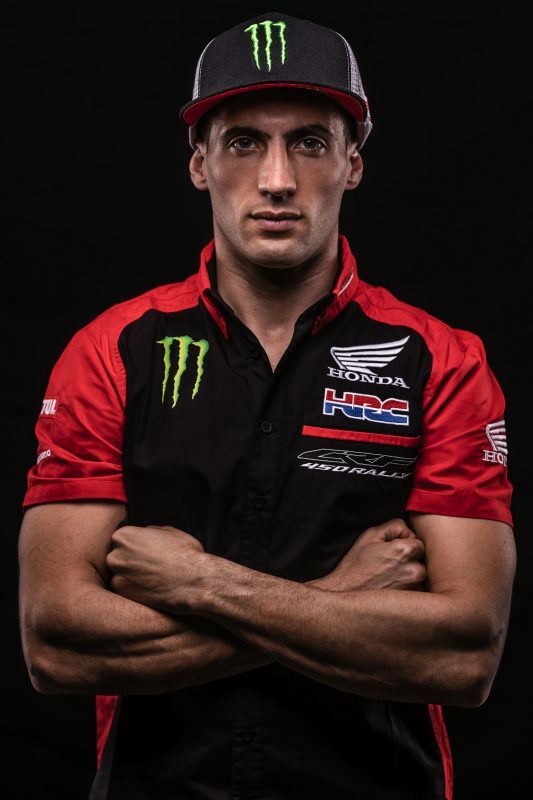 We are going to try to repair the bike and my intention is to continue in the race, so I am going to prepare the roadbook for tomorrow. 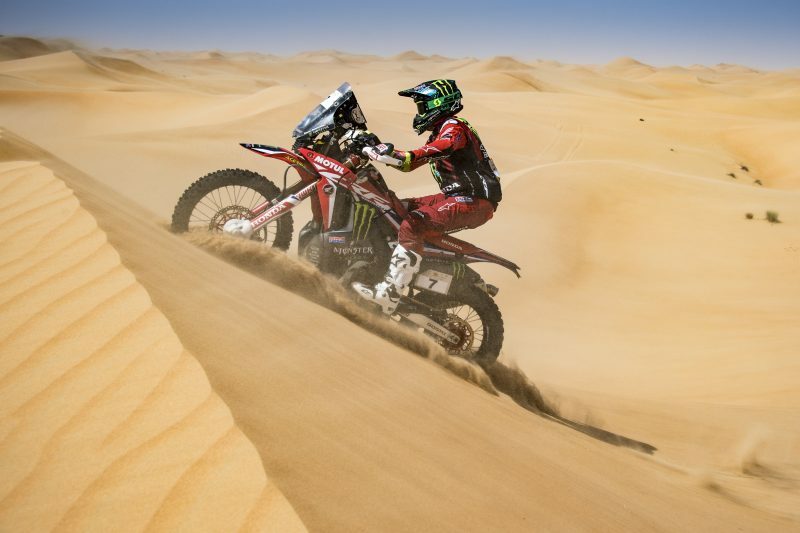 Today was a deceptive day with a lot of wind that raised the sand and it was difficult to guess what the dunes would be like. It was cloudy, but it was very hot with areas where it felt quite hot. It was not a bad day. I hope to improve the pace in the next stages.